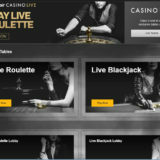 Bonus: Visit the Hippodrome Casino promotions page for the latest offers. 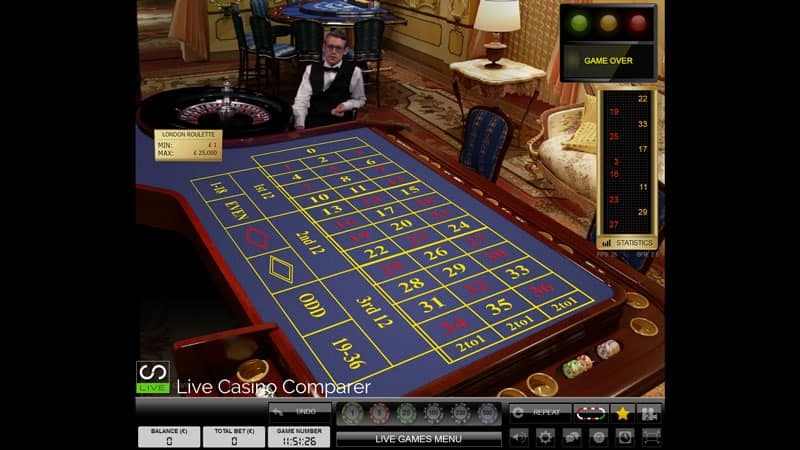 The Hippodrome Live Casino is based on leading Evolution software. 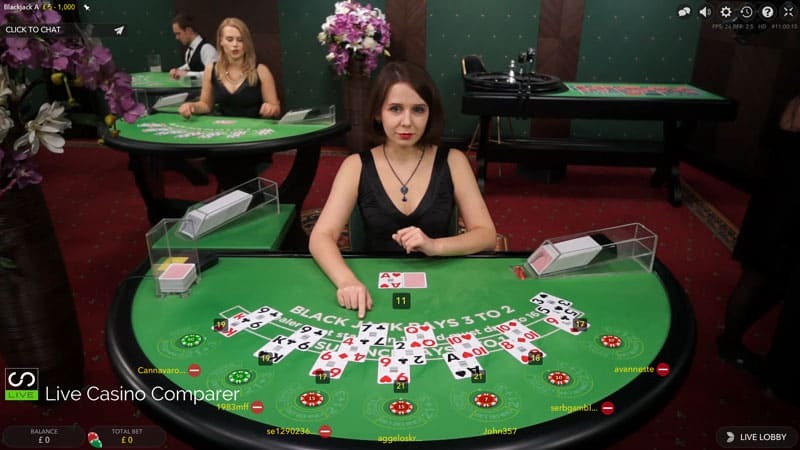 You can play Blackjack, Roulette, Baccarat, Casino Hold’em, 3 Card Poker, Caribbean Stud Poker & Ultimate Texas Hold’em with live dealers . 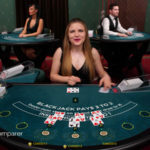 The Hippodrome Live Casino is one of the rare online casinos that also has a land-based presence and it’s because I play there frequently that I’ve included them on my site of live casino reviews. 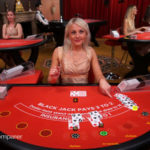 The land based Hippodrome casino is located in Leicester Square, London and is a great place to spend an evening playing the tables, slots or having a nice meal. I can thoroughly recommend the “Surf and Turf” if you like to eat shellfish and steak, it’s incredible.! 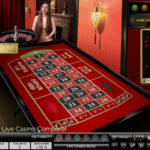 Whilst not exactly the same as the real casino, the online version does a great job in providing a variety of table games and slots for its customers. 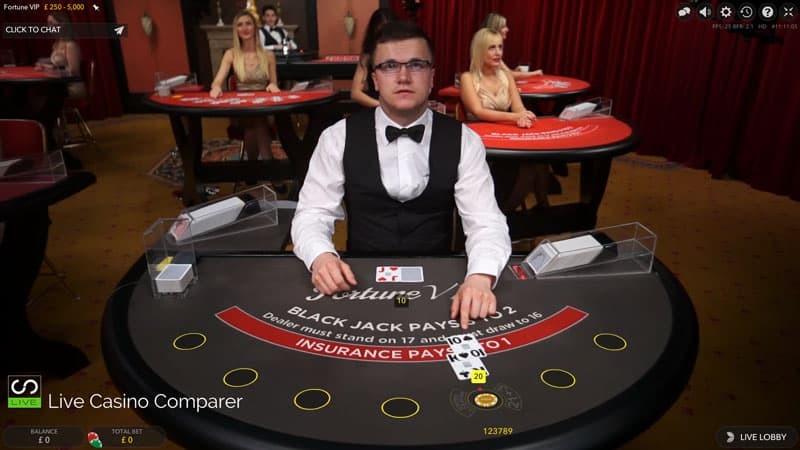 The Hippodrome live casino is no different. 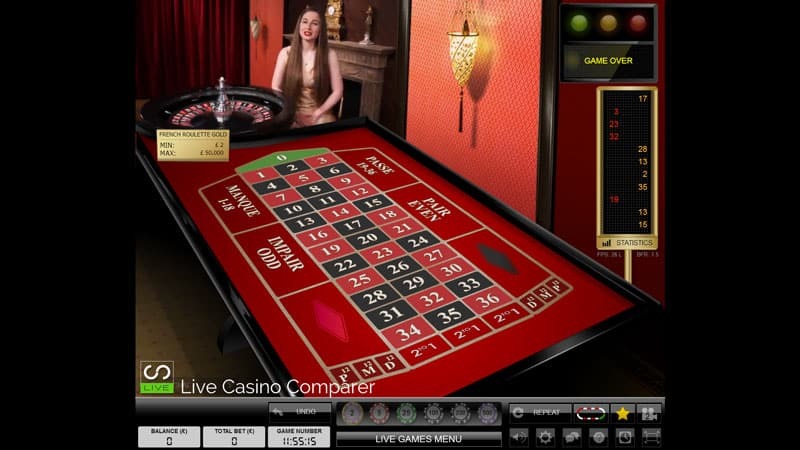 It’s powered by Evolution Live Casino software and you’ll find a large selection of games and tables to play. 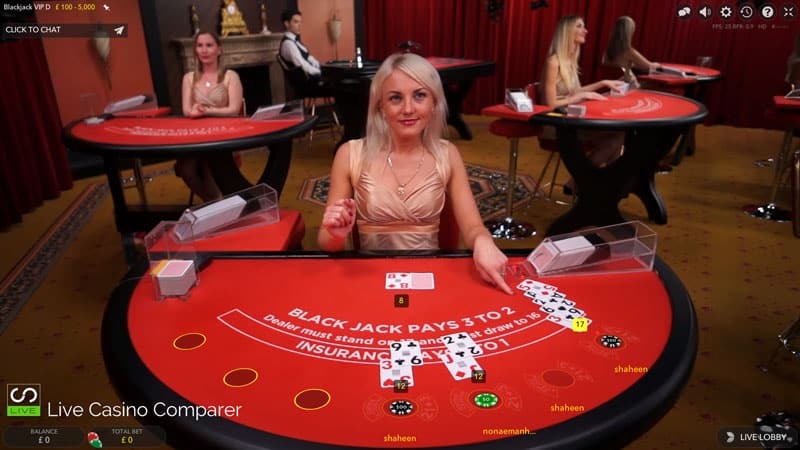 Blackjack – There are loads of tables with minimum stakes to suit all pockets. The Party table is a good place to start if you’ve not played before or want to be involved in some lively chat. 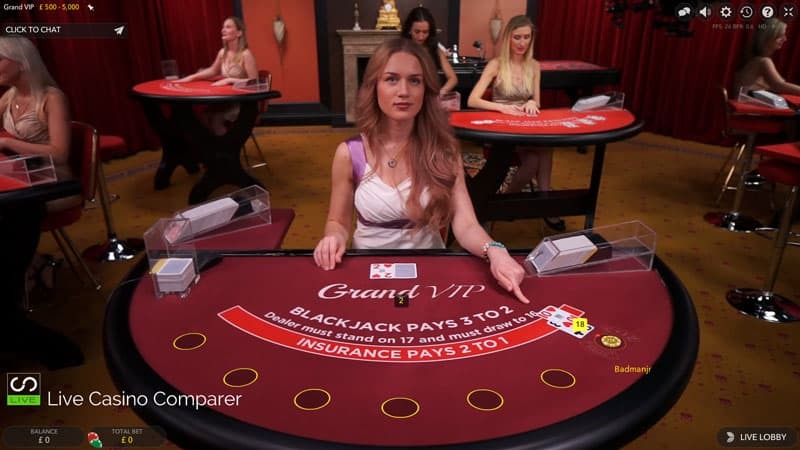 For the more serious players, there’s a range of VIP tables where the games are run more seriously. 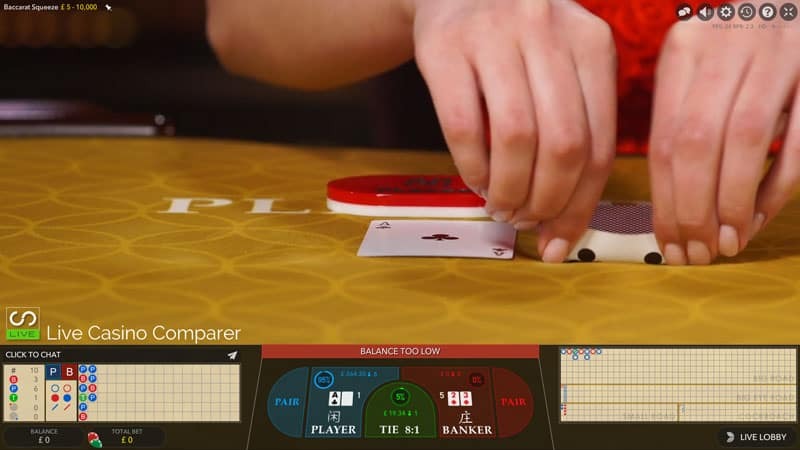 All games are played with 8 decks in the Vegas rule style. 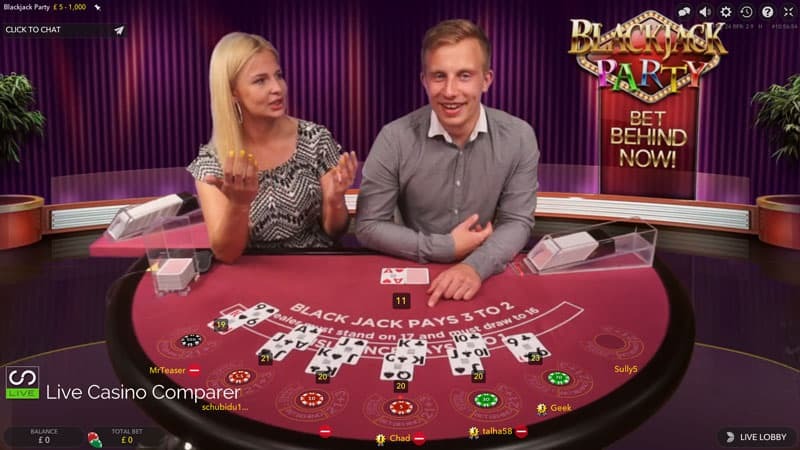 Blackjack side bets are available on all tables. 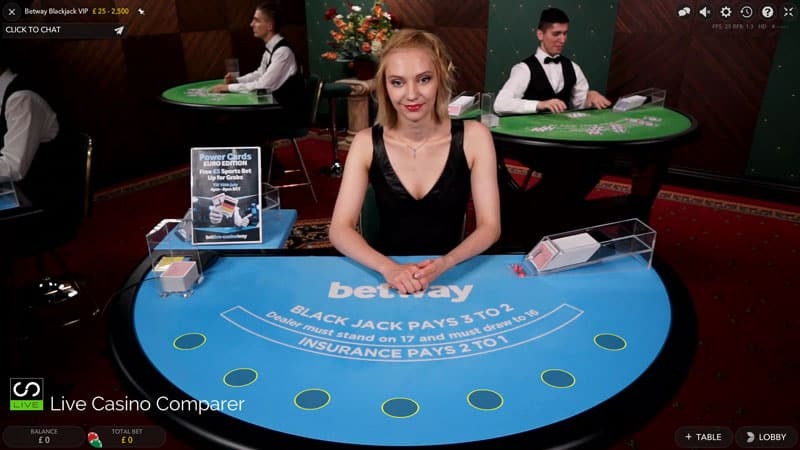 You’ll also find one dedicated table, but don’t get confused with it being called Betway. 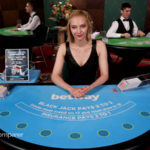 The Hippodrome is part of the Betway group and they share resources online. 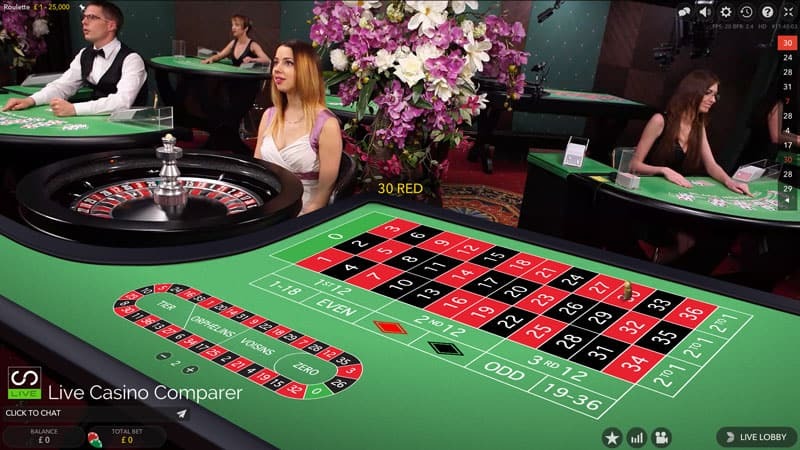 Roulette – There are many roulette tables, from the Immersive and Immersive lite tables with HD quality viewing and multiple cameras to Auto Roulette with La Partage. Stakes range from 0.10 a spin, so again great coverage. 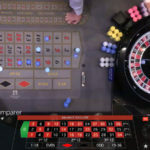 For players that like playing alongside land-based customers you can play on the Hippodrome Dual Play Roulette Table. It’s located downstairs in Lola’s and is open from 6pm every day. 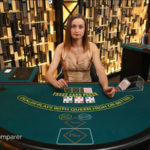 Baccarat – You can choose tables that have the Squeeze functionality or not. 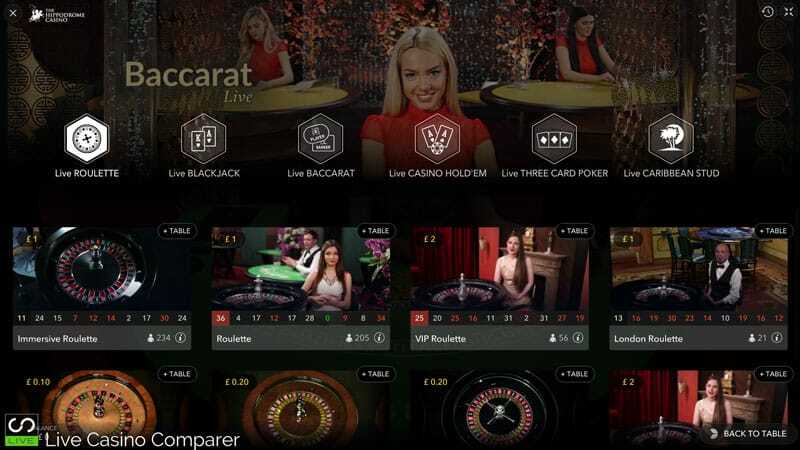 There’s two versions, Baccarat Squeeze and player controlled squeeze. Check out my images below to see what this looks like. 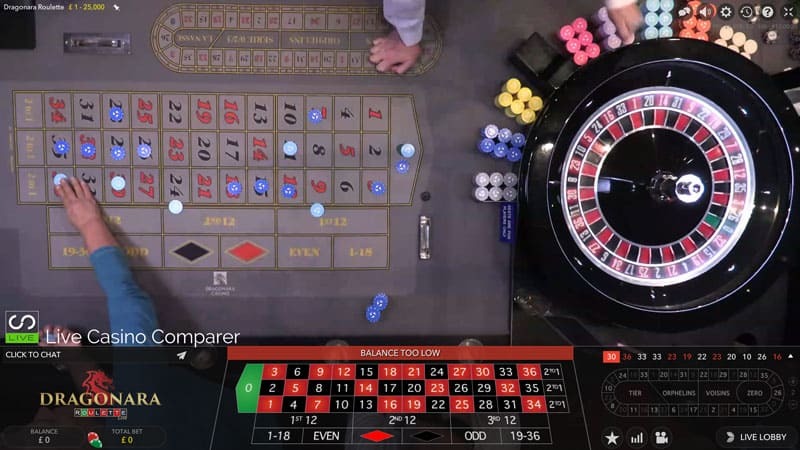 Casino Hold’em – This is played with one deck. 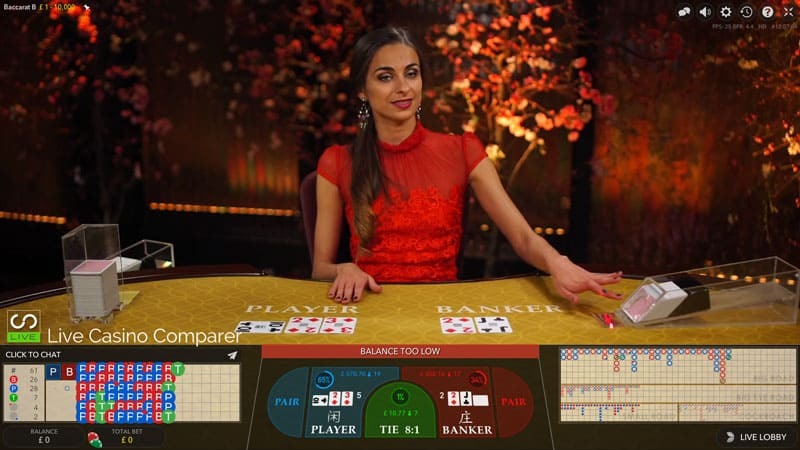 One player hand is dealt that many players can bet on. 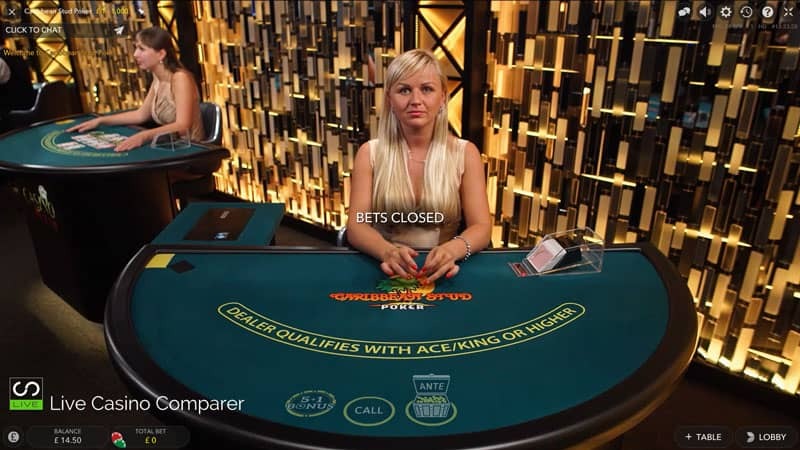 This comes with an Aces or better side bet to keep things interesting. 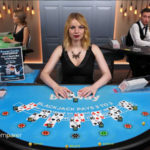 Another single handed game is the very popular 3 Card Poker. Personally one of my favourites, but boy can you lose your balance quickly! 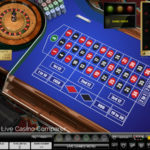 Caribbean Stud Poker – Is a new addition that is proving to be very popular. The 5+1 bonus makes this game and when it comes in, oh boy watch out!. 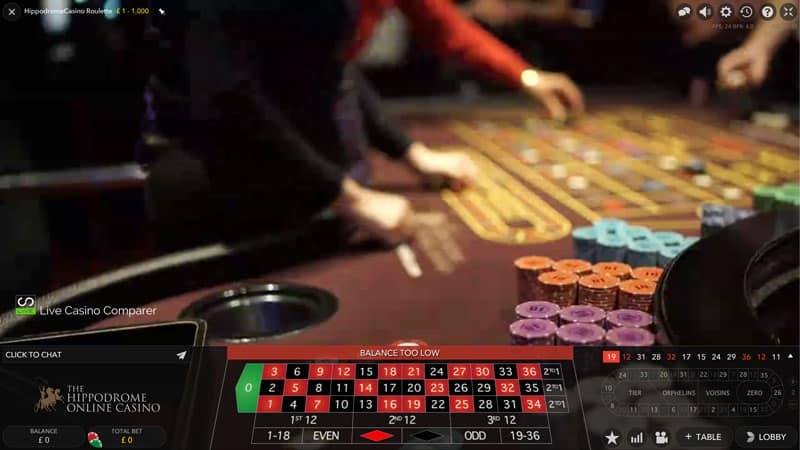 Ultimate Texas Hold’em – The latest of the one to many poker games from Evolution. 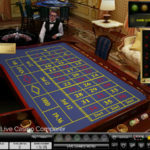 It’s very popular in the casinos in Las Vegas and is now available as a live table game. I love this game. 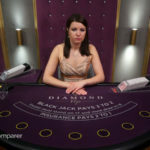 You have to beat the dealer with a better 5 card poker hand from 7 cards dealt. 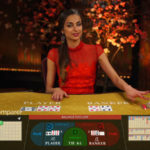 The unique thing this game has is the betting rounds where you get to see the cards before making your bet! 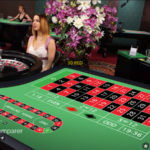 Dream Catcher – This is a Wheel of Fortune type game. 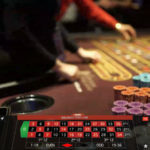 There’s a series of different numbers with a range of payout odds. The skill is selecting the wining number. 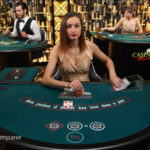 There’s an innovative multiplier that can be applied to a win which makes this game more exciting. It’s presented in a game show style with a very engaging and outgoing presenter. 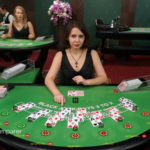 It should appeal to Roulette and slot players. 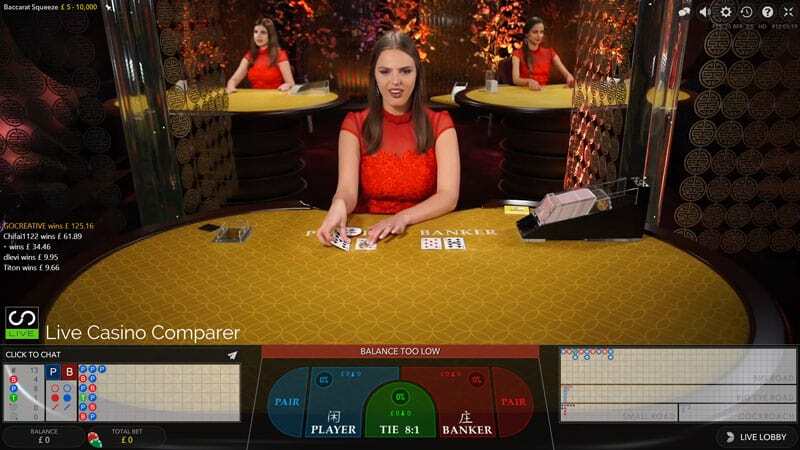 I’m pleased to say that this problem doesn’t exist with the Hippodrome Live casino. It makes a real difference and an example of someone thinking about the customer. You don’t have to come out of the game to make a deposit, just click the deposit icon and a new window opens. 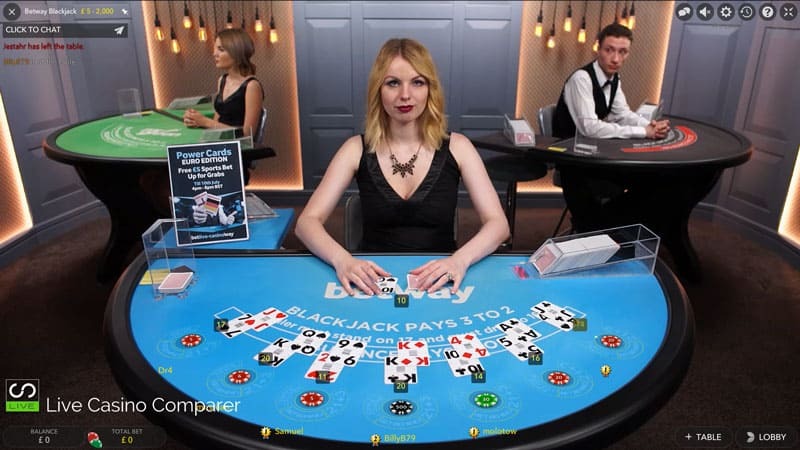 If the Blackjack tables are full you can Bet Behind. This is one of the USP’s of the software and something that I like. 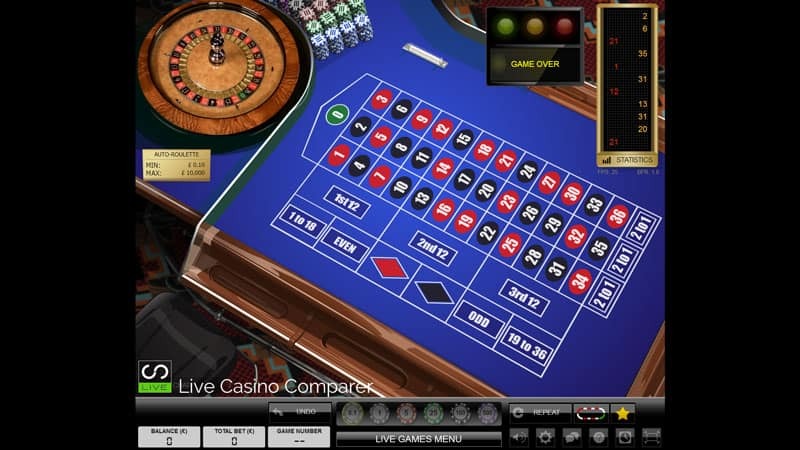 The playing interface has a number of configuration options. 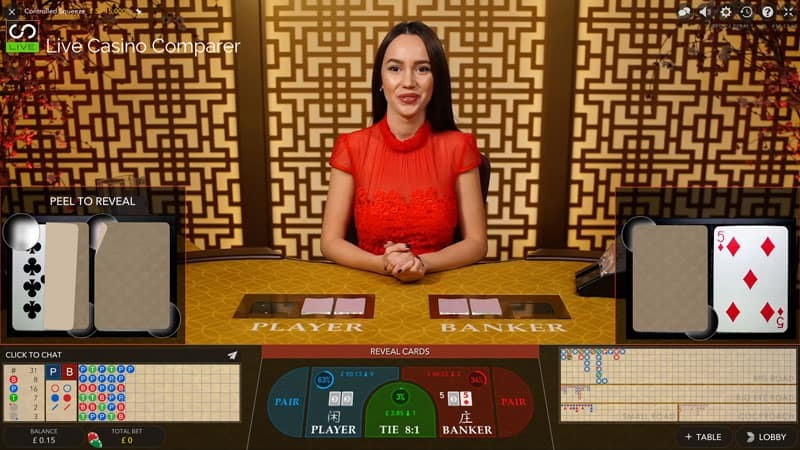 You get two options to view the tables: game view and casino view. You can select video quality to optimise it to your broadband speed which will reduce game lag. A comprehensive help text is also available that gives a good overview of all the games and how to use the playing interfaces so I’m not going to duplicate that here. The dealers do their job well and are generally up for a chat. 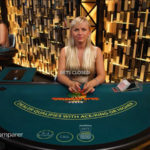 In fact, most live dealers love chatting to the players as you’ll see if you read some of my interviews with Live Dealers. 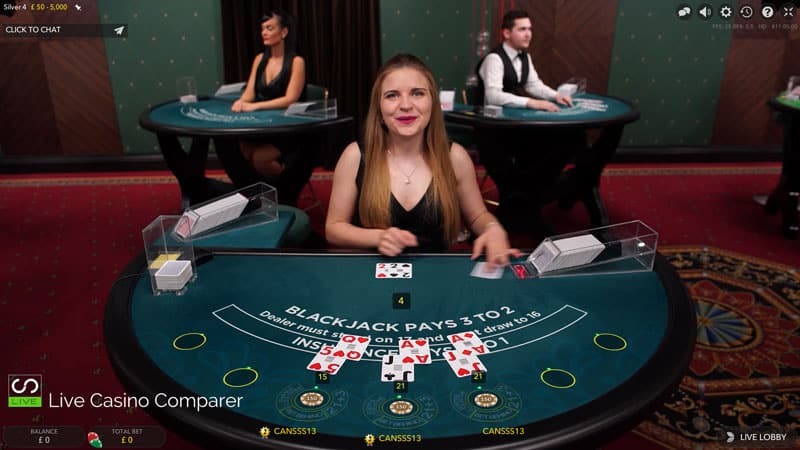 If you’re looking for dealers with plenty to say for themselves then you might like to try visiting the Leo Vegas Live Casino and playing at the Chambre Separee tables. 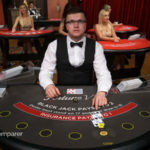 I reckon they have the best blackjack dealers on the Internet. 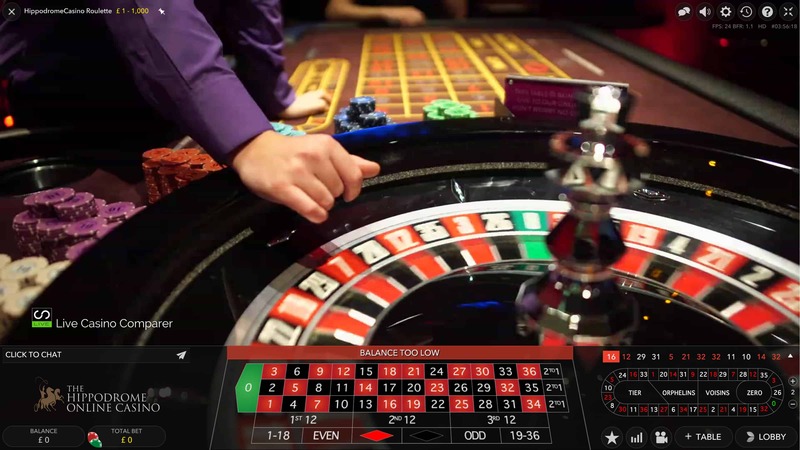 The interfaces of each of the games provide a detailed breakdown of the dealers and players past hands and also the history of spins on Roulette. 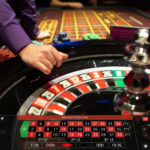 I always find this information helpful when deciding on whether to join a game, as I like to know whether the shoe is for or against the house or what numbers have been coming up on Roulette. 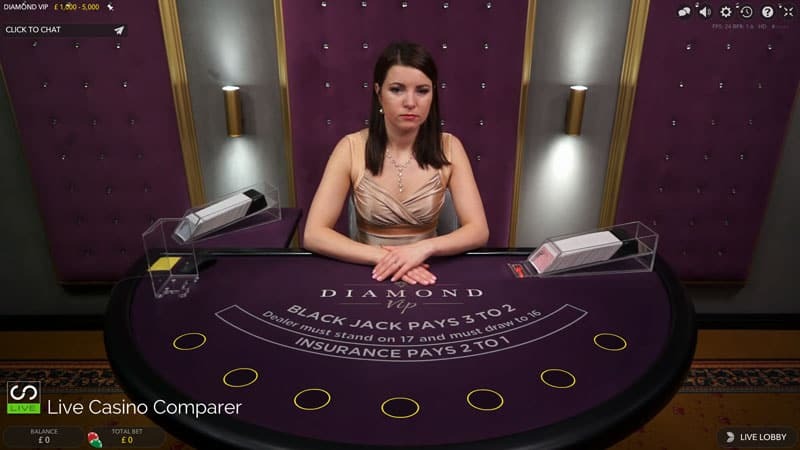 I can’t really fault the playing experience other than the limited number of tables available on Blackjack. 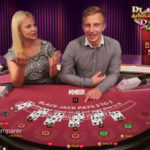 They do have the option for you to place bets behind on Blackjack so you can still play while you’re waiting for a seat. The Hippodrome offers the following payment options. Click2Pay, Clickandbuy, Credit Card, Direct Bank Transfer, ECO Card, Entropay, Maestro, MasterCard, Neteller, Paysafecard, Skrill, Ukash, Visa Credit, Visa Debit and Visa Electron. Cash-outs can take up to 48hrs depending on your deposit method, which is not one of the quickest online. 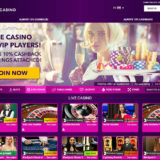 It’s a real shame as they have a great opportunity to offer a cross promotion with thier land based casino. For the moment I’d just keep checking the promotions page on their website for the latest details. You never know what’s going to come up! 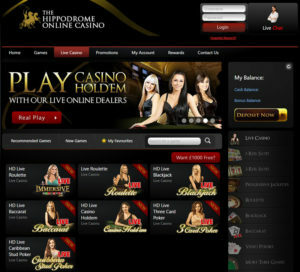 Right from initial signup, you know that Customer service is central to what the Hippodrome Live casino is all about. I received a text and then a phone call to welcome me onboard within 10 minutes of signing up. I’m a bit old in the tooth, so have become wary of these types of marketing tactics, but I have to say that they were not pushy at all, the conversation about welcome bonuses was brief and I was left to it. I’m a bit old in the tooth, so have become wary of these types of marketing tactics, but I have to say that they were not pushy at all, the conversation about welcome bonuses was brief and I was left to it. I received a text and then a phone call to welcome me onboard within 10 minutes of signing up. I’m a bit old in the tooth, so have become wary of these types of marketing tactics, but I have to say that they were not pushy at all, the conversation about welcome bonuses was brief and I was left to it. Support is offered by email, telephone and Live Chat on a 24 x 7 basis. I always like to use the live chat and found it to be quick and efficient. The support people knew their stuff and were able to handle my basic queries. 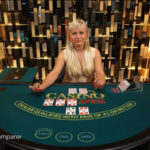 The Hippodrome online casino is fully licensed by the Lotteries and Gaming Authority of Malta and also hold a UK Gambling License. 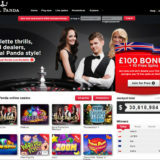 A familiar brand to those who play at land-based casinos in the UK. 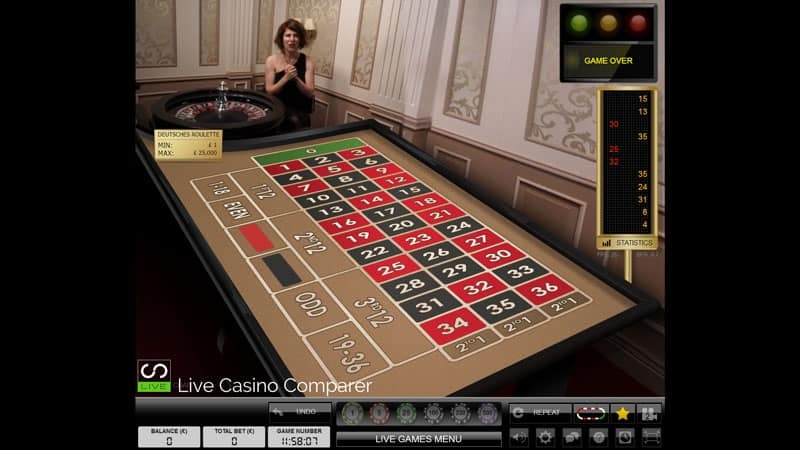 The Hippodrome Live Casino is based on the leading Evolution Gaming software. 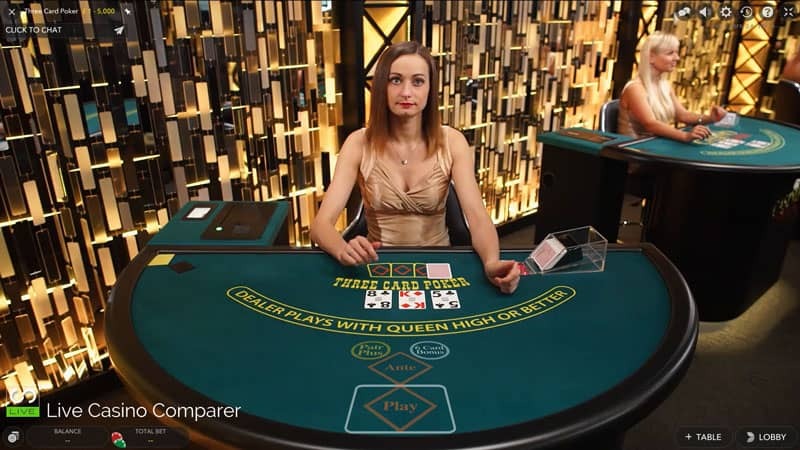 All tables have a good range of stakes and playing options and it’s a safe place to play. 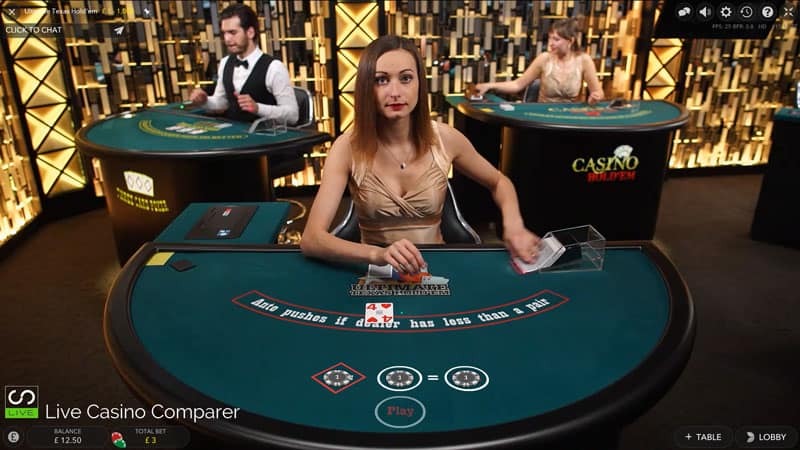 Try out the Dual play Roulette that’s streamed from the casino.